Eight years after Russian dissident Alexander Litvinenko fatally drank poisoned tea in London, the public inquiry into his death has thrust him back into the spotlight in 2015. 2Magpies do not know who killed him, but they do know what he liked to eat, what he liked to drink, and how he liked to dance; so this is precisely what they are going to do. 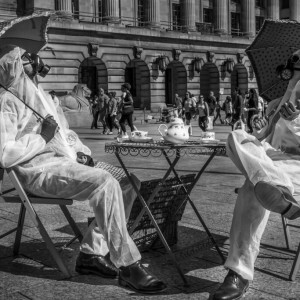 Join 2Magpies in the Summerhall café as they piece together the day Alexander Litvinenko was poisoned in an aromatic blend of possibility, actuality, fact, and fiction. They will even provide the tea.